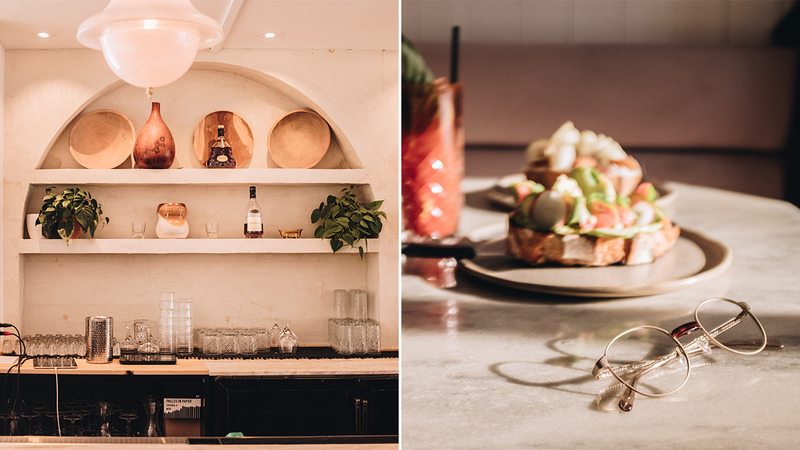 Where to go (and what glasses to wear) in Montreal. Both residents and out-of-towners know that when it comes to fine dining options, Montreal is the place to be. In fact, there are so many great spots to choose from that narrowing down just a handful was proving difficult. 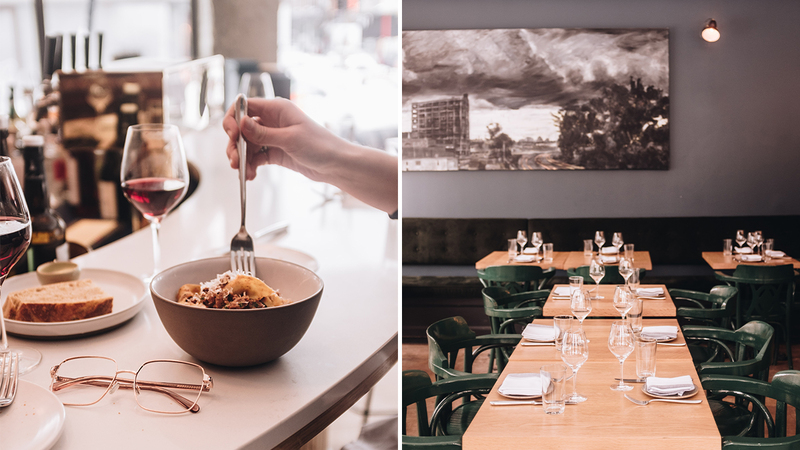 That's why we enlisted the help of local content creator and photographer, Sarah Babineau, to share her top picks for where to eat. Whether you're gearing up for a hot date, spending an evening with friends, or just going solo, Sarah knows the city's best restos inside out. Check out her choices below for an evening out you won't soon forget. Henrietta is located in the Mile End, a part of town known for its relaxed, artsy vibes and rich, multicultural history. 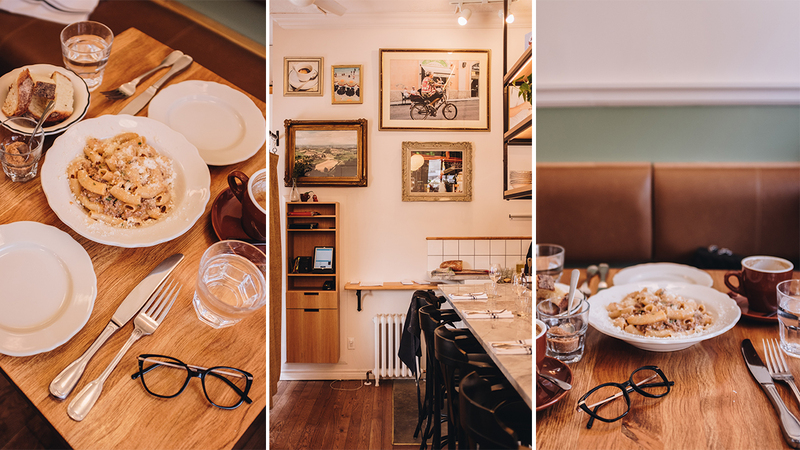 And this quaint spot happens to embody both: its menu draws inspiration from Portuguese cuisine, while its setting is right on-trend: its décor is playfully hip and laidback, accented with trendy light fixtures and plant pots. 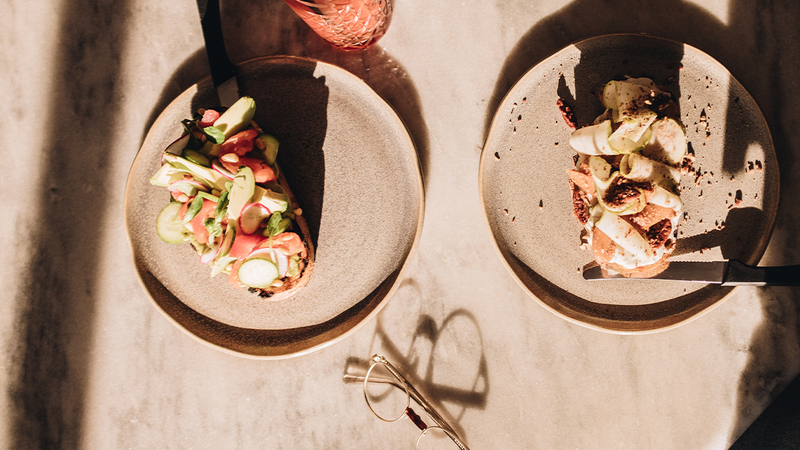 Henrietta's plates-for-two (served up on wooden platters) are a specialty of this establishment—and what are serving dishes if not the culinary version of a celebration of love (after all, what could be more caring than sharing?). If a bottle of vino happens to be your thing, share one from their extensive list. As for what to wear, well, an evening in the Mile End invites you to dress the part. Slip on our impossibly cool Ultimate frames, an aviator style pictured here in the colour Wine. Early birds and night owls alike will enjoy all that Gypsy, a new spot in the Plateau Mont-Royal borough, has to offer. Gypsy serves up Balinese cuisine for brunch or suppertime, which means fresh finds are always on the menu—a summery antidote to a winter that seems never-ending. A meal at Gypsy is more than just a meal—it's like taking a trip to Bali but without the day-long flight. For brunch or lunch, do the millennial thing and test out the restaurant's take on avocado toast. As for what to wear, we recommend something that says "laidback-chic." Think jeans with Chelsea boots, topped off with an oversized blazer. Complete your outfit wearing in a pair of round-shaped, metal-set frames like Curious (pictured here). 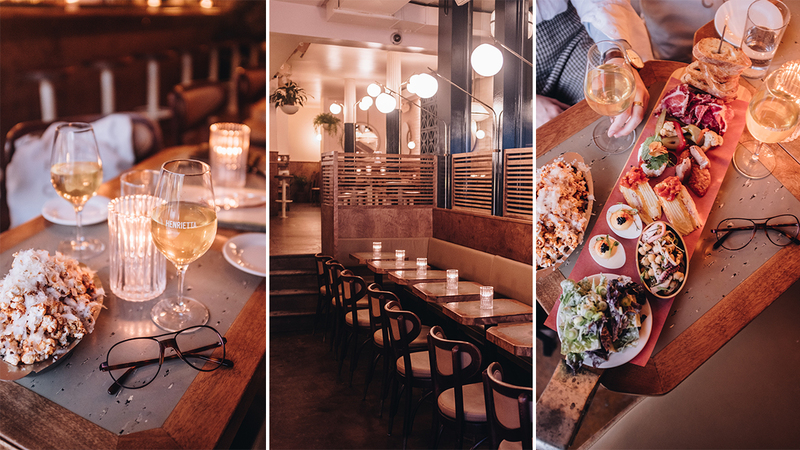 Much to the delight of its residents, there's a new kid on the block in Villeray, a family-friendly neighbourhood in Montreal. It's called Moccione, and it specializes in authentic, hearty Italian dishes. Moccione's décor is reminiscent of Italy—complete with photographs of Rome, vintage serving plates, traditional cappuccino cups—but it feels modern, too. It's the ideal date spot for those who want to feel like taking their taste buds on a European vacation. Our Illusion frames, seen here in Onyx, are an appealing companion to your outfit and are vaguely inspired by Audrey Hepburn in "Roman Holiday."